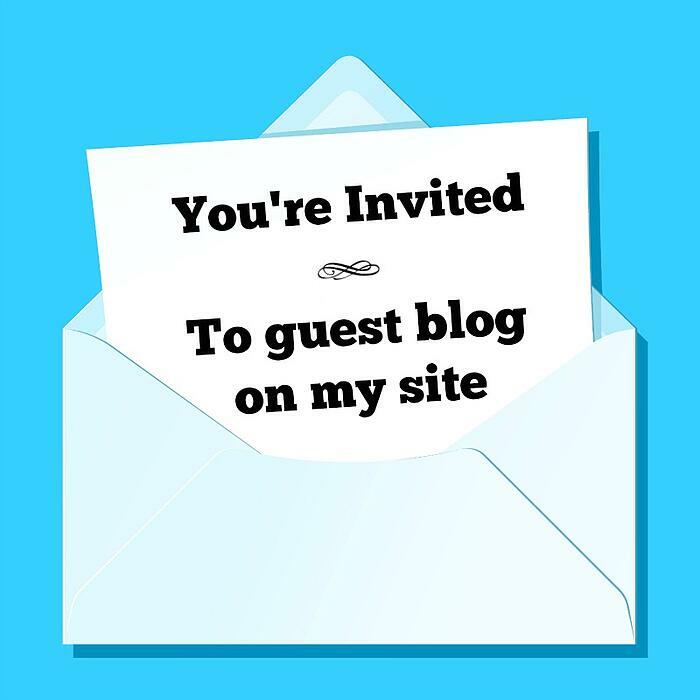 Guest blogging—publishing blog posts on other sites to expand your audience and drive traffic back to your own site—used to be all the rage, but its popularity is dwindling. Guest publishing channels are getting noisy, content marketers aren't seeing the ROI, and they're beginning to question whether this once popular practice is still as effective as it used to be. What’s more, as Rand points out, “there’s more risk around the spammier kinds of activities.” These types of posts get flagged by Google and the sites that publish them get dinged. So, if someone reaches out to you asking for you to post something on your site, don’t. If, on the other hand, someone reaches out to you asking for a cross-promotional partnership, go for it. If you reach out to a like-minded individual in your industry (or someone reaches out to you) and ask to create a guest blogging partnership, you have a lot to gain. Not only will your audience be interested in what this guest industry expert has to say, you’ll be able to speak to your partner’s readers and increase your audience. Who knows, maybe some of those people will even become clients! In order for these partnerships to work, it’s important that you’re taking your time to craft well-written, SEO-friendly, value-rich pieces of content like you would for your own site. A good rule of thumb is this: if you wouldn’t put it on your own site, don’t submit it as a guest post. During your foray into guest posting, it’s important to avoid what Rand calls the guest posting “Slope of Madness.” This is when your focus and intent strays from audience expansion and increasing authority to solely on link building. Yes, it’s great to have links pointing back to your site for link building, but it shouldn’t be your sole motivator for participating in a blogging partnership. Make sure your partners aren’t only interested in this either. 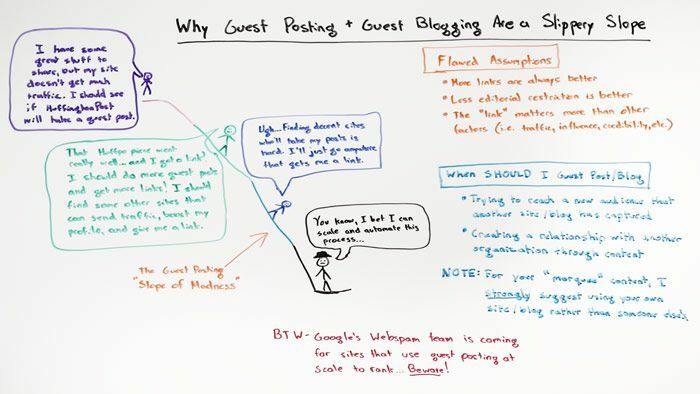 Guest blogging can be a great tool if you’re trying to increase the scope of your audience as well as your authority. Just be wise with whom you partner and where you post. If you avoid content sprinkling and create original, fabulous content with purpose, you’ll be well on your way to becoming a guest-posting superstar.